Poori Masala | Potato Masala for Puri is one of the easiest and flavorful side dish to make with Poori / deep fried Indian flatbread. Whenever we go out to eat, we insist that my patti / grandmother also comes with us. She would happily oblige and come with us and would always order Poori Masala. The pleasure in her eyes when eating the Poori is just amazing.It is a joy to see her enjoying Poori Masala like a child. 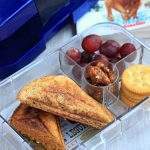 It has been 6 month since I lost my patti and her memories are just overflowing every time I make her favorite recipe. 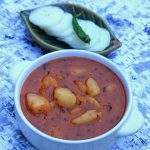 Coming to the Poori Masala | Potato Masala for Puri, it is one of the easiest recipe to make and is so flavorful. 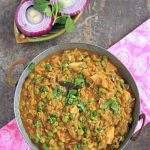 It is made using just the basic ingredients and potato is the star of the dish. My little one loves this Poori Masala | Potato Masala for Puri and says that Poori is incomplete without this potato masala. There are times, when I make something else like this Bombay Chutney or Benarasi Aloo Matar. But for my son, nothing tastes the same like this simple potato side dish. I made this Poori masala last week along with the spinach poori for dinner. 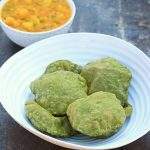 The green color of the poori along with the yellow color of the Potato Masala was eye catching. 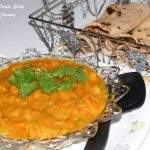 Even though I make this Poori Masala very often, it took me this long to update my old post and post it with some fresh pictures. 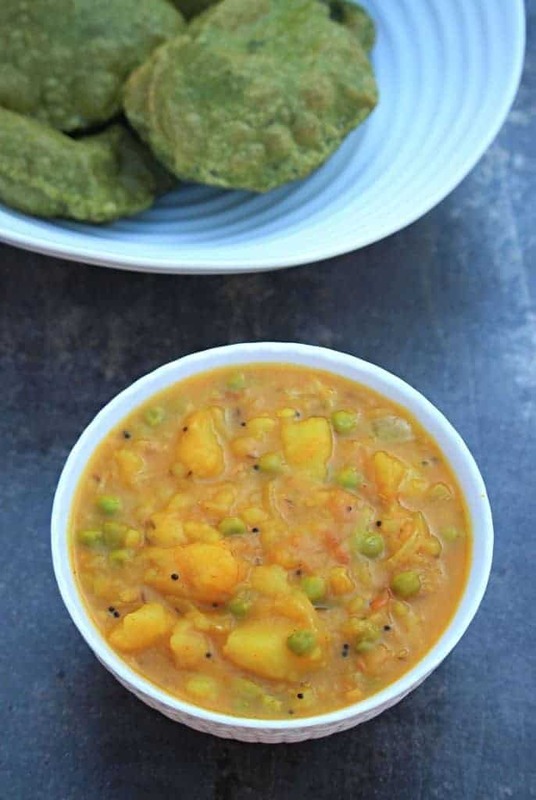 I again have to thank Valli for having this amazing theme of ‘Redo Old Post’ each month as it gives me an opportunity to go back to many of my old recipes and update them. 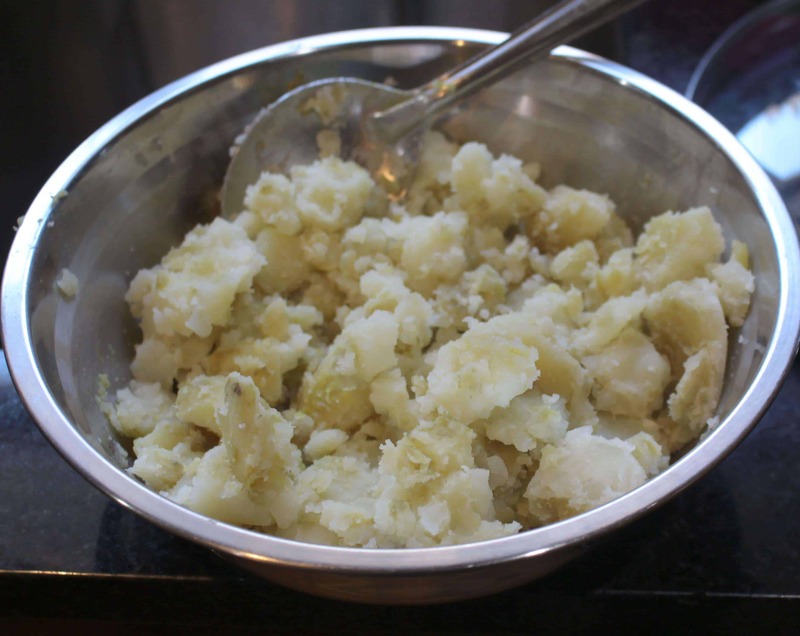 Boil the potatoes, peel the skin and then mash it with a fork or a potato masher. Do not mash it too fine. Heat 1 TBSP of oil in a pan and add the seasonings ; mustard seeds, urad dal, asafetida, curry leaves). Then add the onions, green chilies and ginger. Sauté until the onions turn translucent. Then add the tomatoes, green peas along with salt, turmeric powder, chili powder and cook for about 5-7 mins. Now add the mashed potatoes and about a cup of water and let it simmer for about 10 mins. Depending on your preference, the consistency can either be thick or you can dilute it by adding more water. Garnish with cilantro and serve hot with pooris. Now add the mashed potatoes and about a cup of water and let it simmer for about 10 mins. Depending on your preference, the consistency can either be thick or you can dilute it by adding more water. Garnish with cilantro and serve hot with pooris. Everyone has their style of making poori masala, isn’t it? 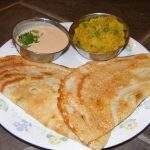 🙂 But it still is the best combination with poori, I love it in toasts as well… Looks so delicious! I can have a plate of pooris with this potato masala without any guilt, i can finish that bowl just like that, just need a spoon to dig in. Tempting masala there. That’s so true. Nothing can beat poori potato combination. 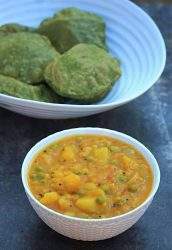 Such a classical side dish for poori. Looks so yum. That’s my all favourite poori with aloo.. I can have this at any time, and right now I want one. My whole family loves this potato masala. What I love about it is – it can be served with just about anything – rice, roti, poori etc. 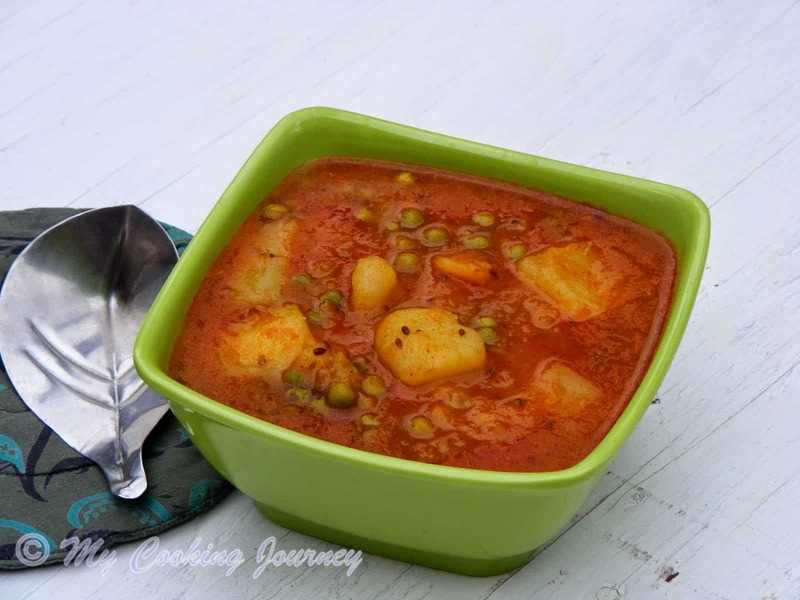 I prepare similar recipe in Bangla we call it aloo chauchari, it is a simple recipe made up with panch phoran, tomato and green chillies and it’s prepared with raw potato and added peas. Your boiled potatoes recipe with added spices is delicious and boiled potatoes make the recipe quick. 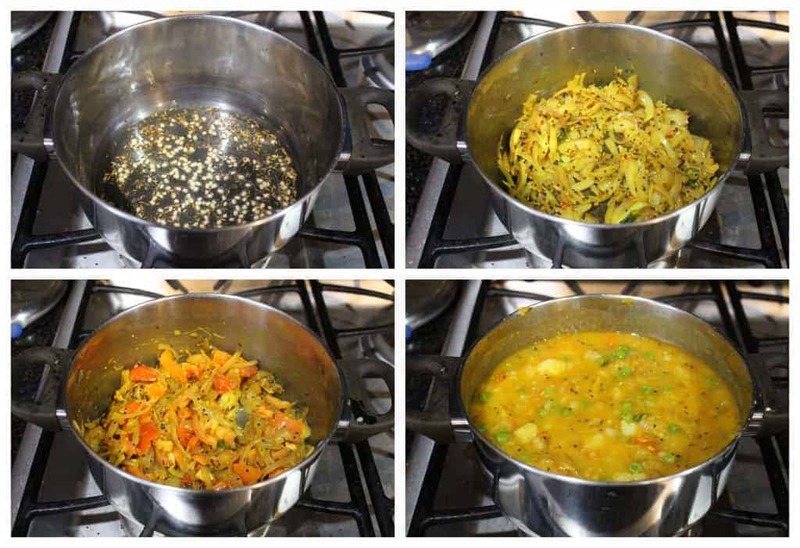 Very good blend of spices and tricks for quick serving. 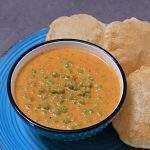 what a lovely masala and it looks even more inviting with the colorful poori that you plated the masala with. 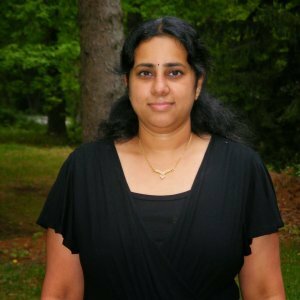 I enjoy this theme too Sandhya, as it gives us a chance to read back on those old posts and refresh our memory. So nostalgic..the dishes look sinful and so nicely done! 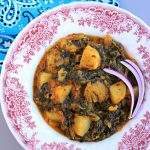 This potato gravy sabji is a perfect combination with palak poori. 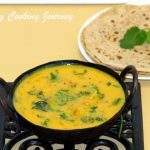 It is our brunch recipe whenever we have palak at home. Looking fantastic and I am drooling over it.